At Puralytics, we are working on next generation products for advanced oxidation, bringing this technology to markets and verticals not previously served with this powerful treatment process. We have several exciting projects coming in 2018, but are looking for development, distribution and implementation partners with access to customers and markets. As the leader in sustainable, scaleable advanced oxidation, we bring a broad, experienced perspective and an understanding of the key challenges faced in the field of water treatment and management. Please contact us if you are interested in exploring a partnership. A light-activated-self-purifying water bladder (LASPWB). 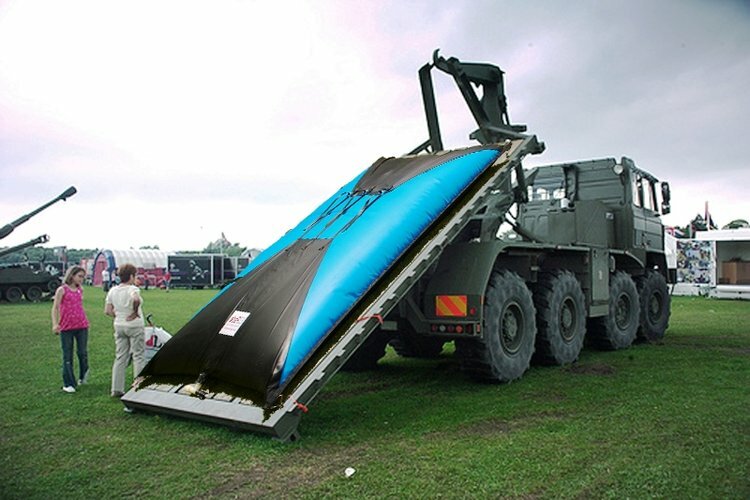 Water bladders from Ez Pack are used for temporary water storage in emergency and disaster relief, remote location, outdoor activities and military applications. In many such cases, the water is not drinkable, and water treatment equipment is not available. Using the LASPWB provides means for purifying non-potable water. 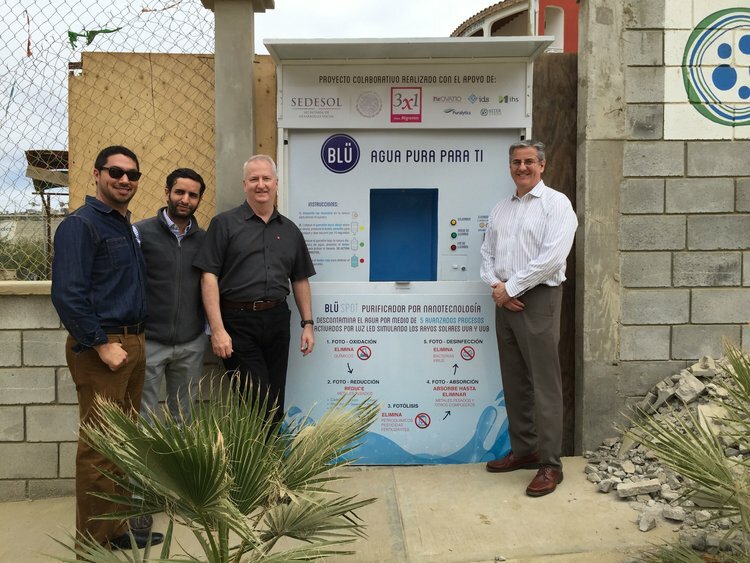 Water kiosks were installed in Tijuana, Mexico at community centers operated by Sedesol, the Dept of Social Development of the Mexican Government. The objective was to supply low cost, safe water in poorer neighborhoods without municipal water supply. For 2 Pesos, the customer could clean and fill a 20L bottle with water. Commercial options were 8-10 pesos, and were 1-2km away making transport difficult. The project had several partners, led by Infinitum Humanitarian Services, and were highly successful in the neighborhoods selected. The Disaster Water Shield has been developed to provide clean drinking water to disaster affected populations. It was developed by Infinitum Humanitarian Systems, IHS as a rapidly transportable, low-power water purification system and can use water from virtually any non-salt source - river, lake, pond, rice paddy, cistern, town source, or agricultural ditch.